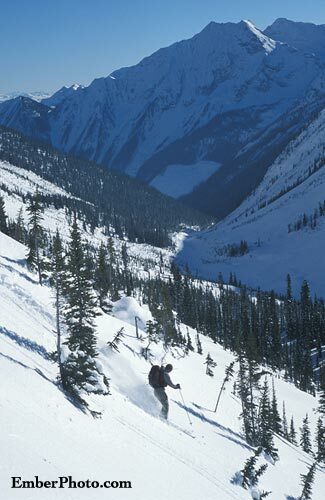 Combined with the snowy Selkirk Mountain weather pattern, our lodges access quality skiing on the doorstep! 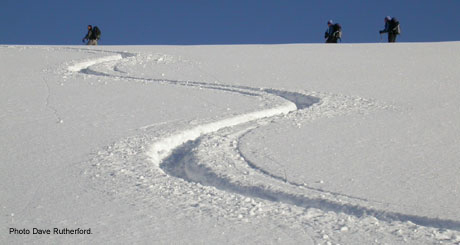 Slopes of various length and steepness offer excellent turns for a wide range of ski abilities and desires. 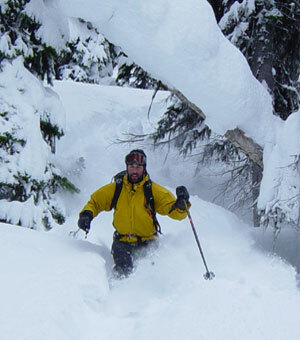 Sunrise Lodge has the most tree skiing available near to and just below the lodge. 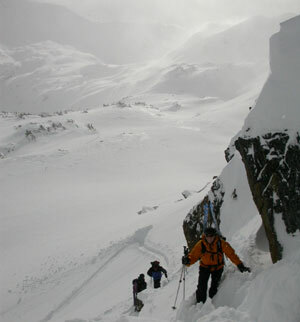 To access the higher alpine terrain such as Paradise Ridge takes 1 to 2 hours. 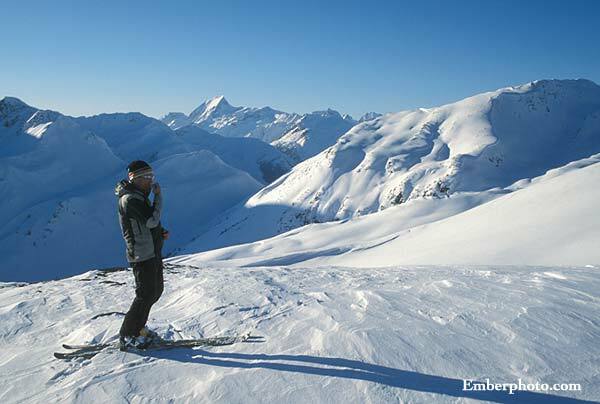 Paradise Ridge is our moderate 4 km wide 25-30 degree west facing terrain with 1000' to 2000' runs. 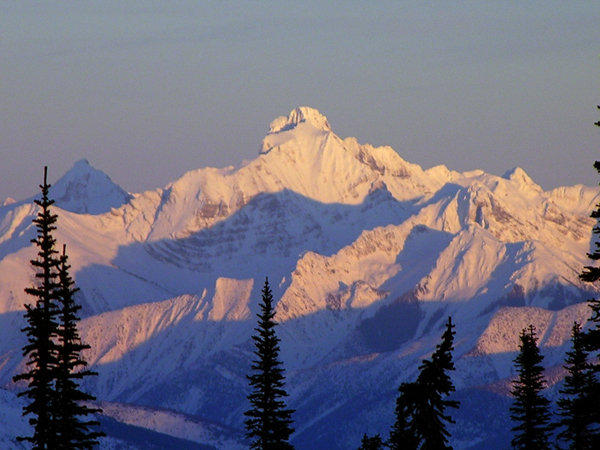 Sunrise is close to Mayvil Valley, which has both alpine and steep tree skiing. 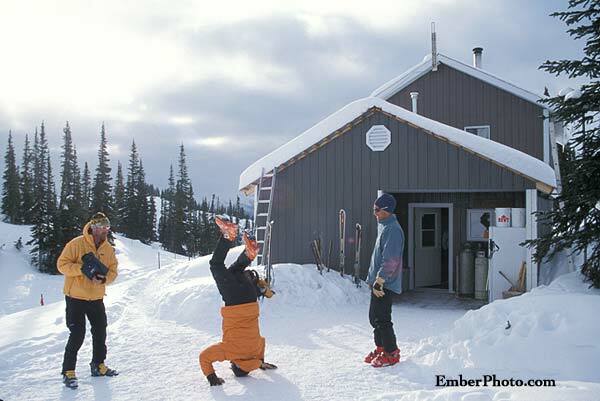 Meadow Lodge has steep tree skiing below the lodge - note that Fair to Good snowpack stability is necessary. 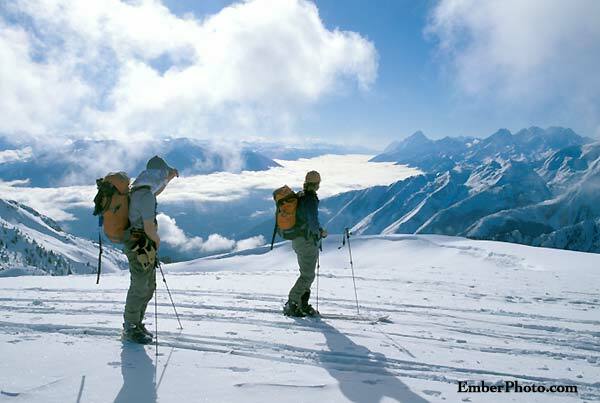 To access the higher alpine terrain such as Paradise Ridge takes 45 min to 1 hour. 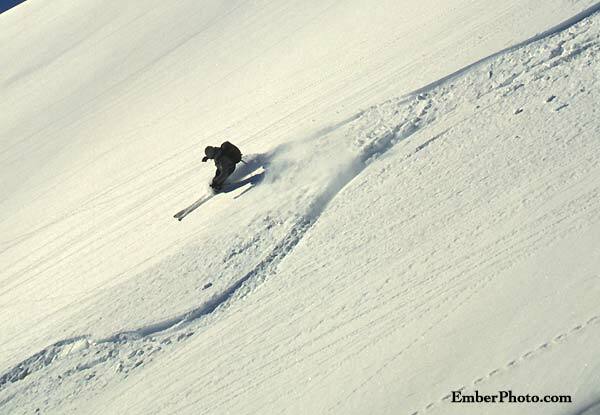 This is of great value to those that want to get a lot of good, mellow, safe skiing. 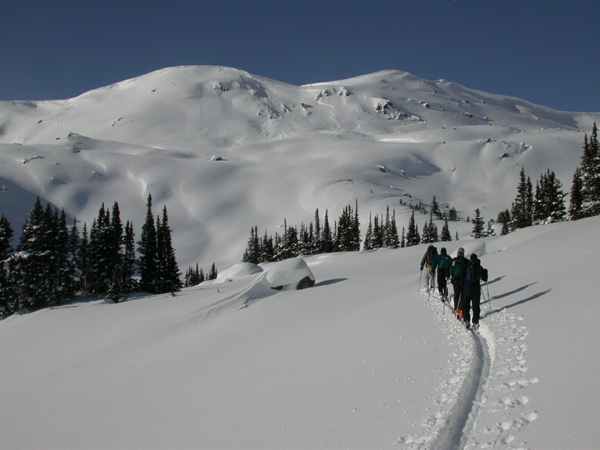 Meadow has access to Cupola Peak, the Esplanade's highest mountain, a fantastic ski ascent with amazing views as the prize. 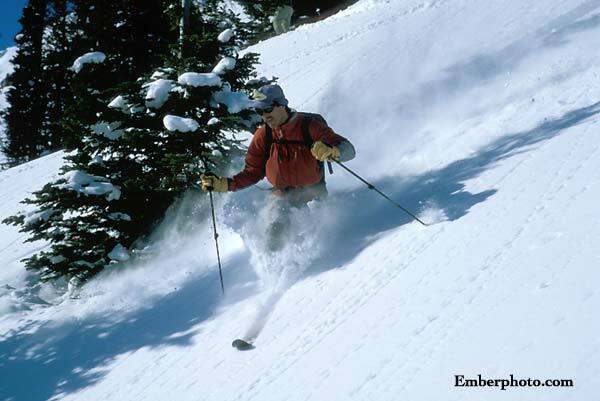 Vista Lodge has steep tree skiing below the lodge - note that Fair to Good snowpack stability is necessary. 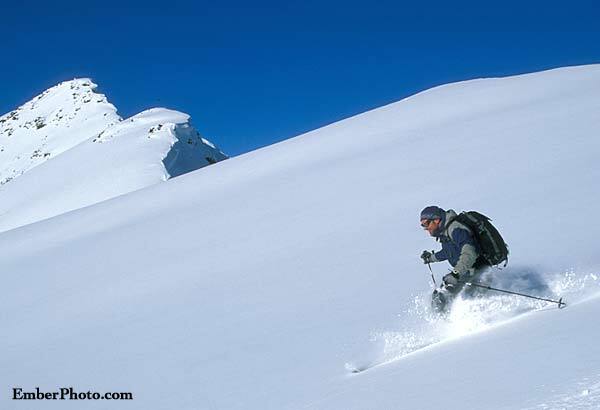 There are extensive tours and ski loops, climbing and skiing to move through various valleys. 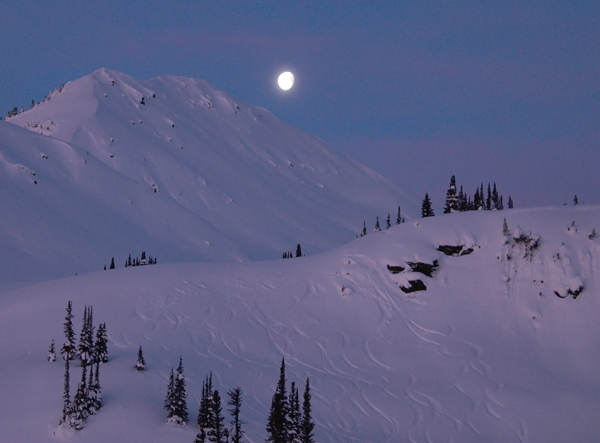 There is a more alpine feel to the terrain, giving a true sense of remote backcountry. 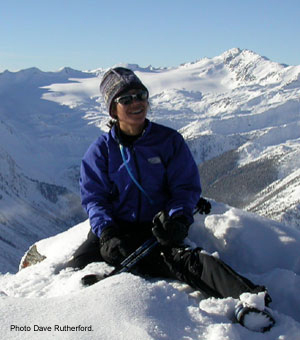 Vista has access to classic ski tours such as Little Cherub Peak and Colpitti Basin. 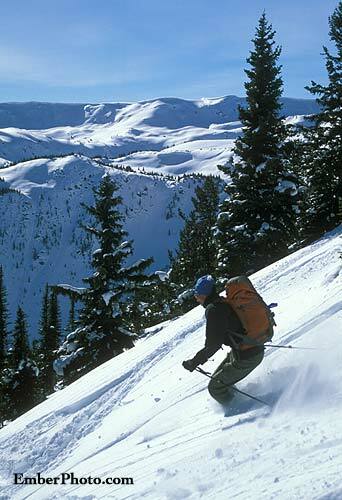 For the skier who wants great turns right outside the lodge door, Trundle Ridge is a great mix of alpine and tree skiing. 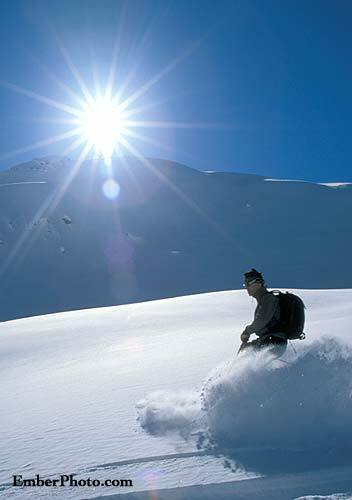 You need to be an intermediate skier and up, skiing blue runs at a ski hill with confidence and in control, to enjoy a ski trip with us. Reasonable fitness is essential. You should be able to hike 3500' vertical at a moderate, casual pace with a break or two, on a moderately steep trail. Remember that on a week long trip you will want to be able to do this for a few consecutive days to be able to fully enjoy your trip. No previous experience is necessary, but you do have to have the right gear. 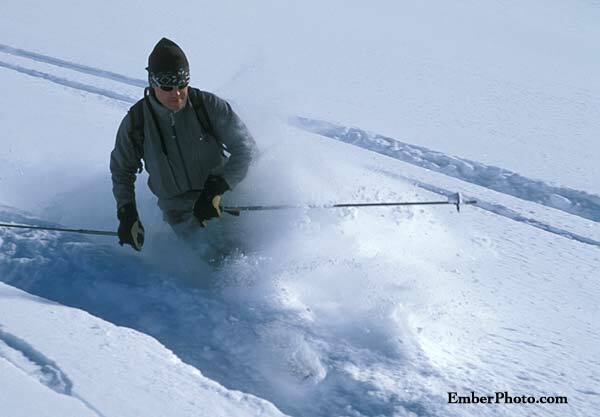 If you have not skied powder before, that is OK! 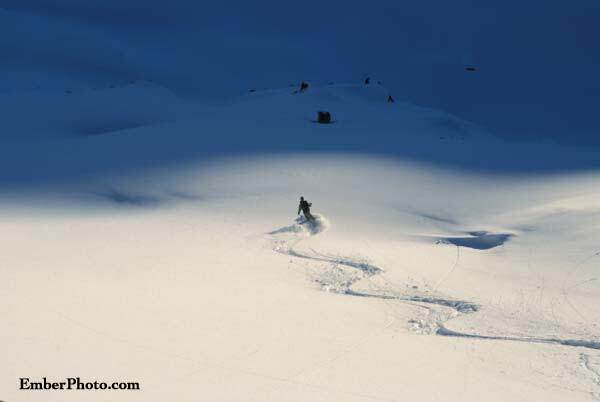 Teaching powder skiing is part of what we do. It will take you a day or two to catch onto working with all the gear, but the guides are there to help you adjust to the sport. 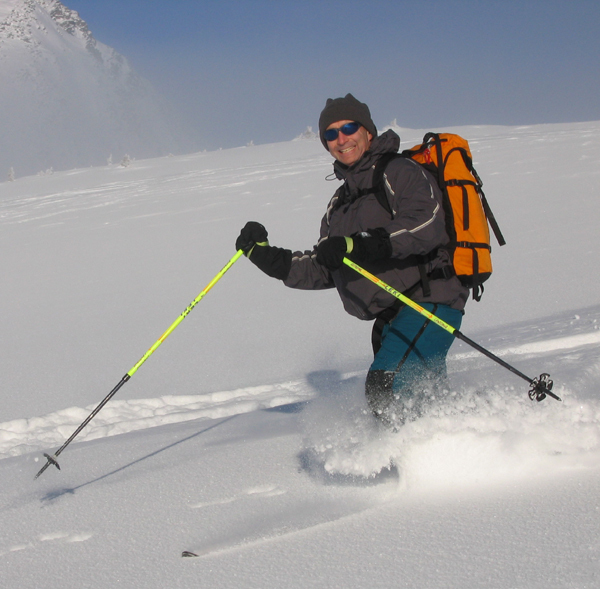 We do a thorough avalanche and beacon training session on the first day of your trip so you will be properly prepared to ski safely in the backcountry. The elevation of the lodges is 7000'. 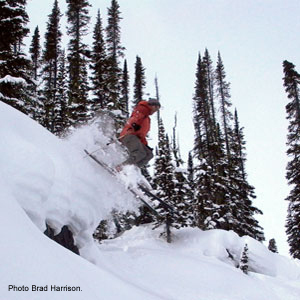 You will be skiing treed terrain from the lodges down to 5500'. 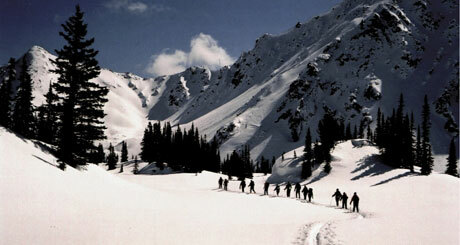 Alpine terrain extends from the lodges up to 8600'. 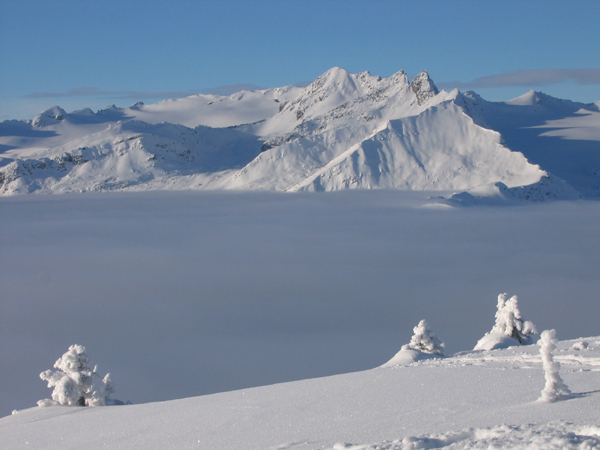 The ski runs vary from 500' vertical to 2500' vertical, depending on conditions and ski area chosen on a given day. 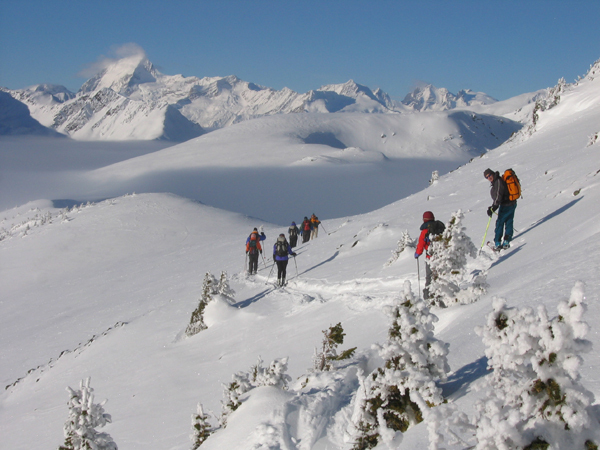 All trails are made by your guide and group. They are subject to change with new snow and storms. There are no set tracks, and we do not have any X-country skiing. 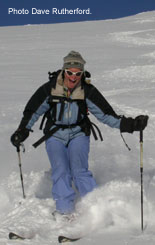 Groups on average will ski 3500' to 5500' daily. 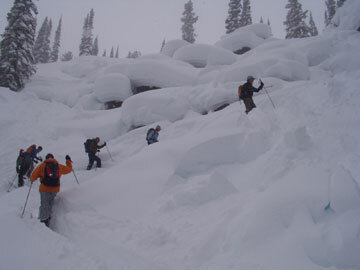 Some groups have been known to average 5000' to 7500' per day. Given that there are two guides per group of 12 skiers, there are options for coming in early or staying out for a fuller day. 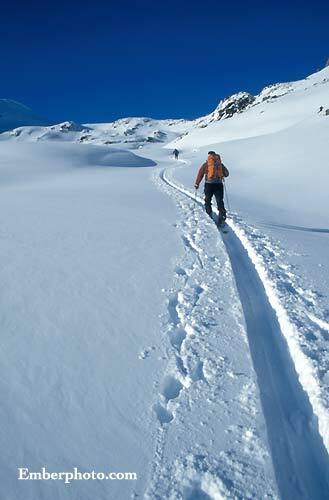 The traverse between lodges is 7 to 8 hiking kms long. 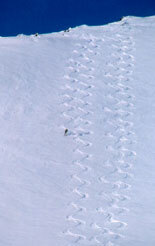 Traverses are generally done later in the season due to short daylight hours, weather, and snow conditions. The length of the Esplanade used by us is roughly 20 kms.